The Boulevard 34 is a gut strung harp from the respected makers, Dusty Strings. The tone is warm and full and the high tension concert gut strings provide a shorter sustain than the typical Dusty Strings sound. This makes the Boulevard an ideal choice for classical repertoire and for players and students who want a feel similar to that of a pedal harp. Based on the ever popular Ravenna 34, the Boulevard 34 features the same innovative and affordable construction technique, the comfortable stave back body, and the easily removable stand. It was designed it to be as lightweight and portable as possible in a full-range harp, without sacrificing the quality of the hardware or the construction. The four-legged stand is quickly and easily removed without needing to turn the harp over and comes apart to fit in the case pocket. 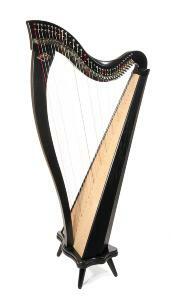 It also features an internal, adjustable drop down leg, which slots neatly inside the harp when not in use. The case is made of durable, water-resistant cordura with thick foam padding, a convenient shoulder strap and a multitude of pockets for stands, music, extra strings and other accessories. Using four carefully placed piezo pickup elements connected to a central rod, the Dusty Harp Pickup achieves a clean, focused, natural and lush sound. 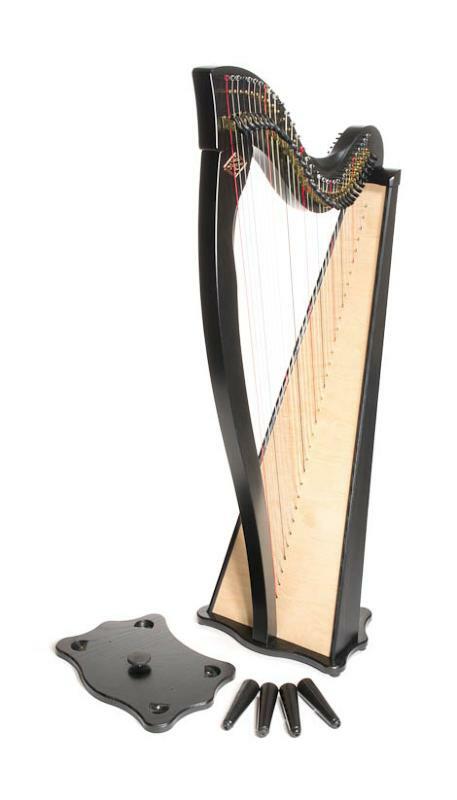 The pickup is discreetly mounted inside the soundbox of the harp, invisible to the audience. A single jack mounted on the back of the harp connects straight into a guitar amp or PA, making for true plug and play ease of use. The Internal Pick Up can be supplied pre-fitted, or can be retro-fitted. 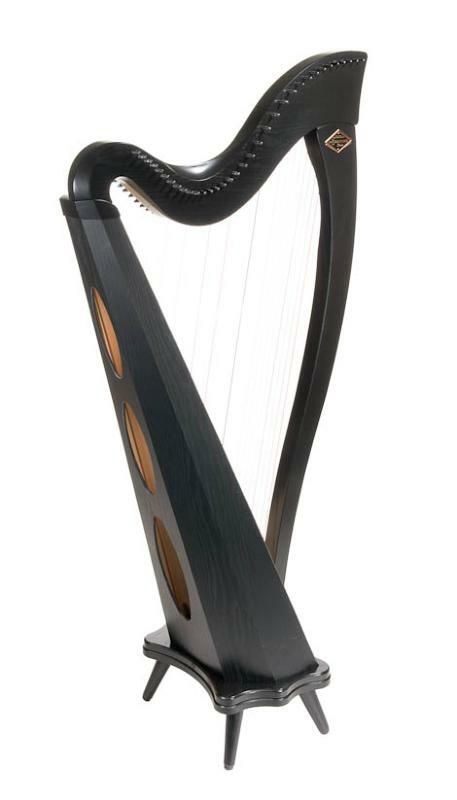 As of August 2012 all new Ravenna harps come with a pre-drilled, capped hole on the lower back of the harp, making it simple to retro-fit a pick-up, if desired.